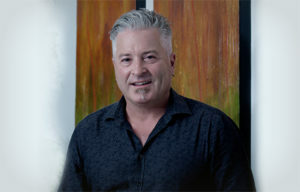 The US Attorney’s Office for the Eastern District of Maryland has dropped its charges against Bodog and its founder, Calvin Ayre, after more than five years, according to a statement released today by a Bodog Brands spokesman. The dropping of the charges against the global giant of the grey-market online gambling arena resolves a case originally brought back in February of 2012. Bodog and Ayre were originally indicted on counts of operating an illegal gambling enterprise and engaging in a money-laundering conspiracy, based on Bodog’s having offered its services to US customers between June of 2006 and January of 2012. The original bodog.com domain was also seized by US authorities at that time, though the seizure had little real effect on Bodog’s global online operations. Three other individuals associated with Bodog’s operations who were also charged in the 2012 indictment have also had their charges dismissed. The three — James Philip, David Ferguson and Derrick Maloney — are all Canadian nationals who either worked for or with Bodog during the period covered by the indictment. The dismissal of the charges also appears to include some monetary elements. As part of the dropped charges, Bodog and Ayre officially reliquished any possible claim they might have had regarding $67 million in funds seized from third-party payment processors. Those funds were seized in transit to US-based bettors at the time of the 2012 indictments, and largely represented withdrawals of funds by those bettors from the Bodog site. Bodog reimbursed that $67 million to those bettors through alternate channels, and largely continued on with business as usual. The actual accounts seized belonged to the third-party processors, and not to Bodog. The dropping of the charges also means the likely permanent removal of Ayre’s visage from the US Immigrations and Customs Enforcement (ICE) agency’s “Homeland Security Investigation” list of its ten most wanted (alleged) criminals. Ayre was quietly removed from the HSI public list a short while back, after having been placed there for most of the past several years. The list always showed a photo of a sharply dressed Ayre, listed for “gambling offenses” or similar, stuck amid a grainy black-and-white rogues gallery of drug kingpins, murderers, child pornorgraphers, arms peddlers and the like.